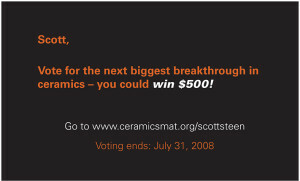 The American Ceramic Society for engineers needed help finding new members. 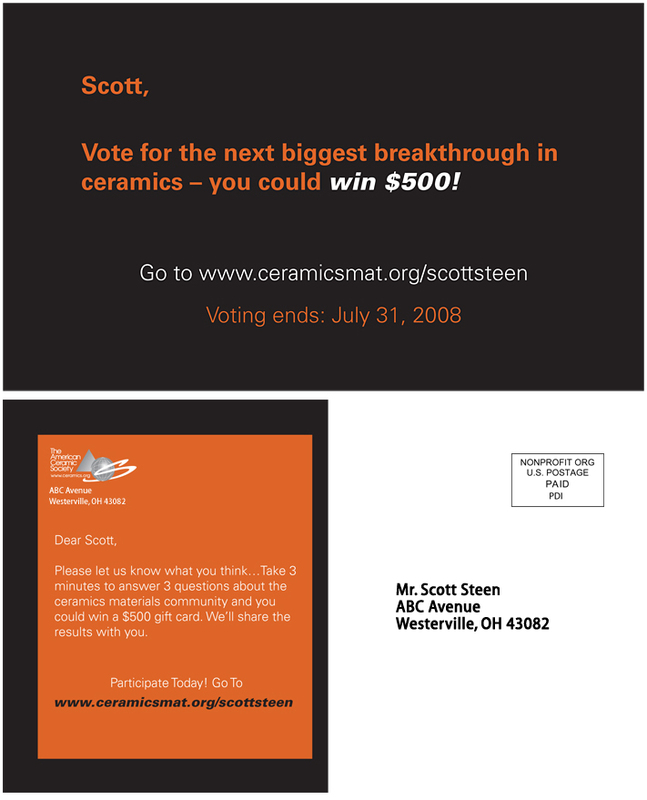 We identified relevant mailing lists, used full color variable data print to personalize post cards, and implemented a PURL campaign. This approach netted a response rate 270% higher than a traditional campaign and 10 times higher than prior campaigns.